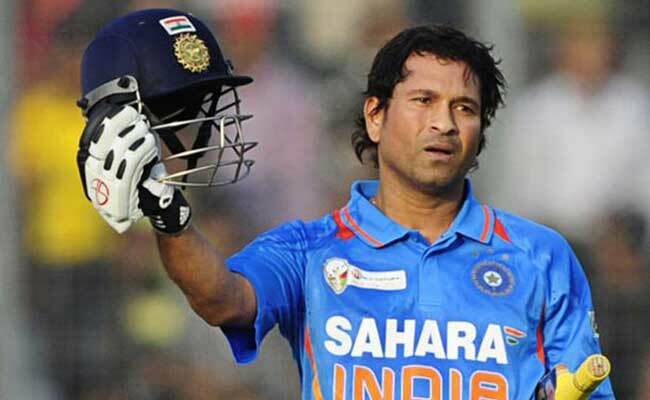 New Delhi: Thousands of Indians expressed their love and admiration for Sachin Tendulkar as the 'God of Cricket' turned 44 on Monday. Social media posts dedicated to the 44-year-old were all over, shared by cricketers, celebs and just about everyone. Among the many birthday posts for the legend was comedian Tanmay Bhat's heartfelt letter for his 'inspiration' Sachin Tendulkar. Tanmay Bhat recalled how he cried as a child until he reached Wankhede Stadium where Sachin Tendulkar was batting. "Thank you for my childhood. Thank you for being an inspiration. Thank you for making me cry," he remembered. The AIB comedian also expressed his regret about the Snapchat controversy last year. Using the face-swapping feature, the comedian imagined a conversation between Lata Mangeshkar and Sachin Tendulkar on the merits of Virat Kohli as a batsman. The video, that had many expletives, was slammed for being disrespectful. Even though the comedian apologised, he was viciously trolled on social media, with few coming to his defense. The comedian said the worst part of the controversy was not the life threat from MNS but that the former cricketer would only remember him about the 'silly joke'. He also hoped to meet the legend one day and make him laugh, but for the right reasons. "The worst part for me about the controversy wasn't the MNS threatening to kill me. It was that the only thing you'll ever know me for is that silly, silly joke. And nothing else I ever do will change that first impression. A joke I never ever dreamed you'll see. I pictured you sitting at home watching the news, embarrassed and baffled. And what made me saddest was knowing I'd never probably meet you. A dream died that day," he wrote. He also posted his message on Twitter tagging the master blaster but failed to get a response. But Twitter was moved by his honesty. Many rooted for the comedian on Twitter, requesting Sachin Tendulkar to reply to his tweet. @thetanmay Apart from all the controversies keep in mind that there are people out there who love you for who you really are! Okay manauj? Smile now!! @thetanmay@sachin_rt Finally you earned my respect. Although I am a big fan of your work but dint like that one..But only a brave person can do it. Tanmay also requested the former cricketer, who is a member of Rajya Sabha, to attend parliament more often because the country would feel 'safer' seeing him than many parliamentarians.